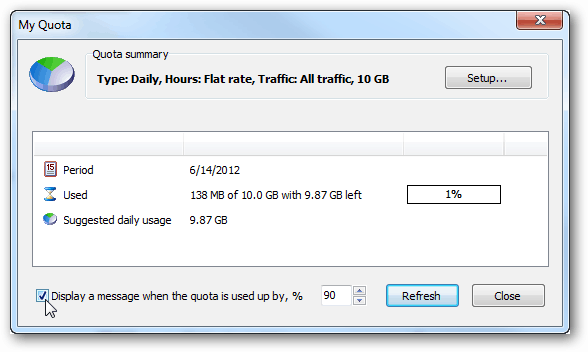 Networx is a great piece of freeware that can help you monitor and control your bandwidth usage. Here’s a full rundown and screenshot tour of the utility. Are you using your PC on a data capped network? Unless your ISP has an easy to access tool for self-monitoring of bandwidth usage, it’s easy to go over. Of course this depends on how high your cap is but you get the idea. 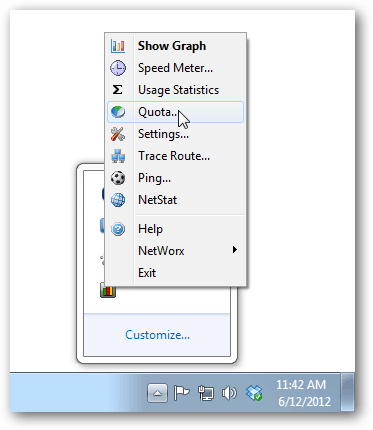 Enter Networx, a free utility that locally tracks and tallies up your bandwidth usage for you. The interface is simple. Your usage is listed on a daily, weekly, or a monthly basis. You can also see your total usage since the day you installed the tool or view detailed hourly analytics. It also works on computers with multiple users if you want to track how much data your kids are using for example. Aside from the main Usage window, the context menu from the system tray icon offers an impressive set of features. 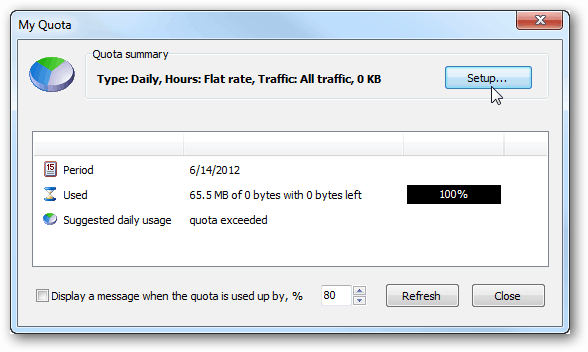 Being constantly on a capped data connect, my personal favorite is the Quota tool. The Quota tool needs to be set up before it can be used. 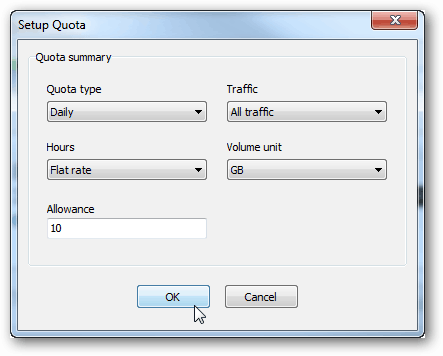 In the Quota setup, you can specify whether you want daily, weekly, or monthly limits in place. You can also configure the kind of traffic, whether off-peak hours are counted, and the total limit. Once you have your quota set up you’ll be able to see percentage information and set up an alert based on the amount of data you’ve used. Another favorite tool is Netstat. The Netstat tool allows you to see every connection made by every application running on your computer. If you’re suspicious of a program monitoring your network traffic or maliciously connecting without your knowledge, Netstat can help with making you aware of that. 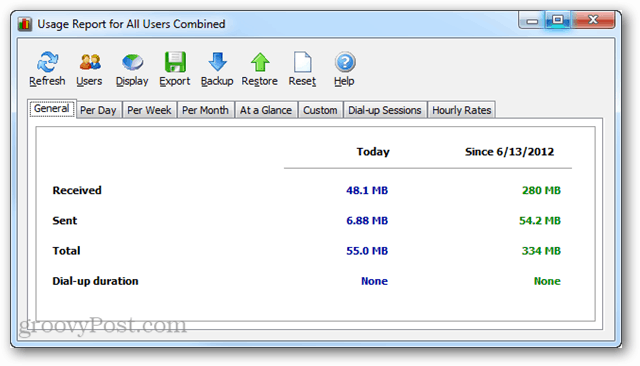 Overall Networx is a nifty utility that does an effective job of monitoring bandwidth usage, and it has one other feature that I really like; it’s portable. You don’t even have to install it, just throw it on a USB stick and it will run on any PC. Download Networx from the developer’s website. Great find, Austin! Like you, the feature that interests me most is Netstat. Another free program that allows you to see what programs are connected to the internet is Process Hacker. Other features of Networx certainly worthwhile, if that’s your cup of tea. 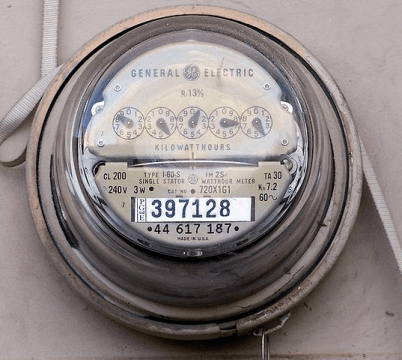 Is Netstat a part of Networx? Was not clear from this post. Love your tips. Yes @701951b77fe920d031df780917562086:disqus, it’s a built in feature of the tool.